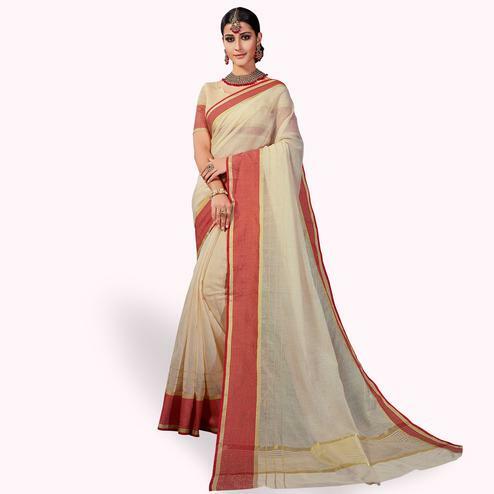 Get yourself a simple and sober look this festival season wearing this orange saree. 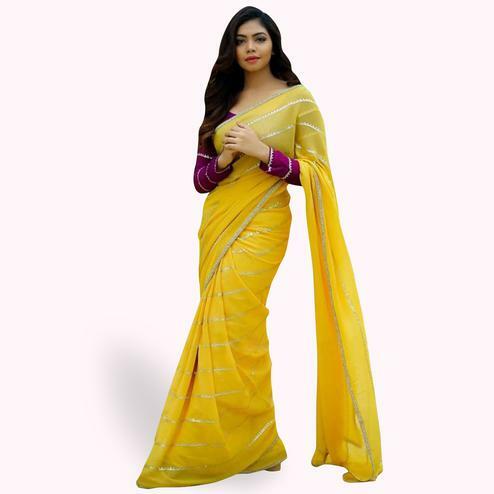 This saree made from cotton silk fabric has got solid color body weaving work geometrical stripes design at lower pallu over contrast color panel and floral print running along the traditional design woven border. Paired with plain orange color unstitched blouse piece. 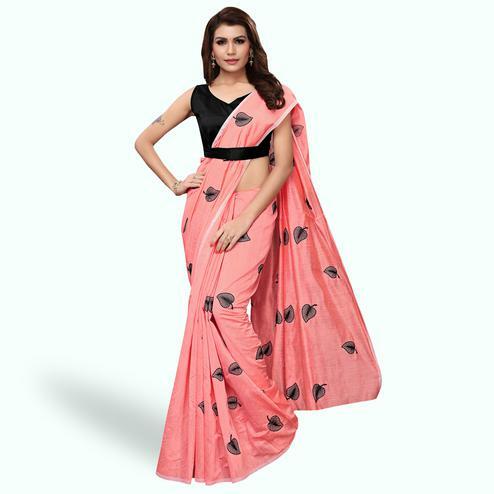 Best suited for traditional functions and festivals.